Check out ways to achieving Instagram stardom faster than you thought possible! Reach out to Instagram users who have built a following in your niche or industry to talk about cross-promoting each other. For this to work, you’ll need to find users who have a similar size audience, as well as a similar or complimentary target market. Remember, your goal for this strategy is to build your audience – so be sure to offer your BEST content to attract as many targeted followers as possible! You probably already know how important hashtags are in your marketing. In short, using hashtags on Instagram will allow people outside your current pool of followers to find you and follow you. Use popular hashtags that you know your target audience is using. This will help you gain much more targeted followers. This is the strategy I recommend if you want highly targeted followers! Use hashtags that are designed for getting likes and followers (e.g., “like4like”, “follow4follow”). Use this strategy sparingly, as the quality of these followers probably won’t be the best! So, what IS the optimal number of hashtags to use? Advice ranges from 2 per post all the way up to 30 per post; however, the most recent research seems to indicate that 8 hashtags is the sweet spot for attracting likes – which can ultimately lead to greater reach and more followers. If 8 hashtags seems like a lot to you, I’d suggest starting off by using as many as you are comfortable with, and then testing out more to see what works best for you. QUICK TIP…make a list of your hashtags, perhaps even two or three lists, on your phone so that you don’t have to “remember” them when you go to post on Instagram. It will be as simple as cutting and pasting them into your Instagram post. This allows your visitors to see your post and interact with it right on your page. And by clicking the Instagram logo on the post, they’ll be taken to Instagram where they can check out your other content…and potentially follow you. 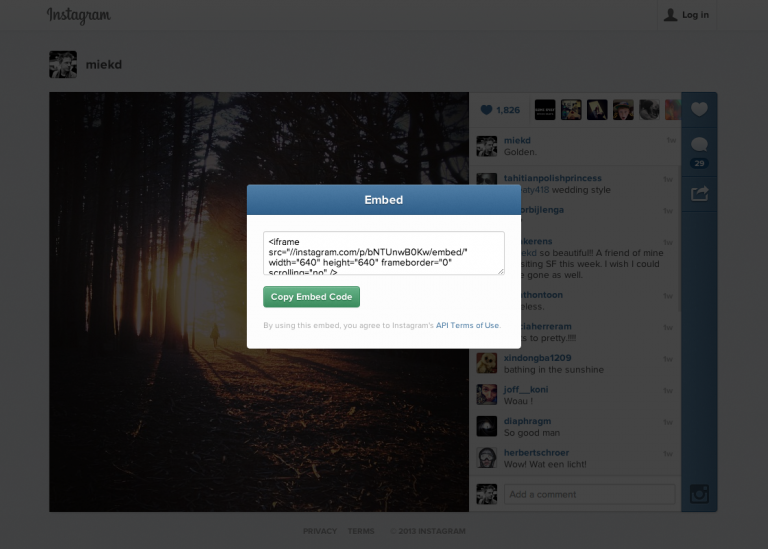 NOTE: If your Instagram post is set to private, embedding won’t work for you. If you want to share your posts on your site, be sure to set those posts to “public” first! Recent research seems to suggest that posting just once or twice a day is optimal for increased reach, likes and shares – and therefore followers as well. Just remember, this is based on averages…which means some accounts will do best when they post 10+ times a day, while others will get best results posting 2-3 times per month! Here’s a simple experiment you can do to see what works best for you: Start by posting once a day, and track how much engagement you get for each post. It’s also important to track your corresponding follower growth. Gradually move up, trying different posting frequencies. Go as high as you’re comfortable with! Choose a frequency that gives you the biggest growth, and that’s also sustainable and enjoyable for you! Liking other people’s photos is one of the best ways to get more Instagram followers. The key to using this strategy successfully is to like photos of people who are in your target market – rather than just liking a bunch of completely random stranger’s photos. Instagram contests are a great way to increase your exposure and reach, especially as your followers tag their friends to let them know about it. In fact, research done by Tailwind found that accounts that use Instagram contests grow their followers an average of 70% faster than those who don’t! 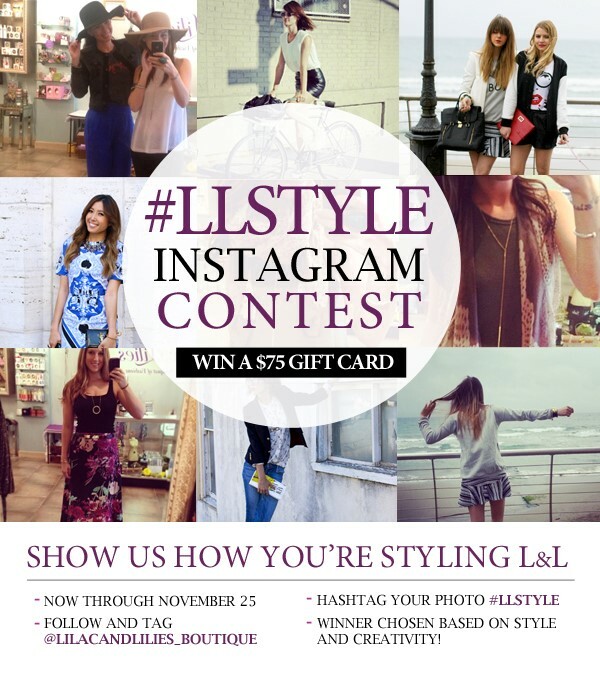 Of course, be sure to follow Instagram’s official contest rules so your contest doesn’t backfire on you! 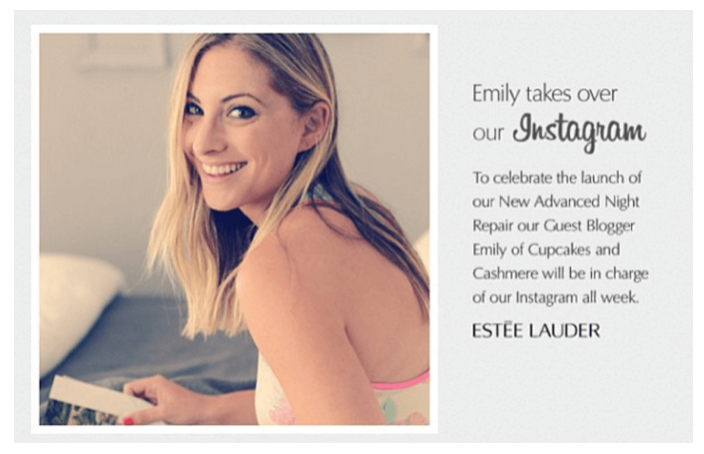 Don’t forget to let your current fans, followers and email subscribers know you’re on Instagram! Use an Instagram badge or Follow button on your site, and ask your subscribers and fans to follow you on Instagram. Share popular and interesting posts with your email list, Facebook fans and blog readers, and ask for their input, feedback or thoughts. You should also let them know why exactly why they should follow you on Instagram. For instance, “Follow us to be notified of special deals”, or “Follow us to find out about new contests or promotions’. Liking other people’s photos is great, but leaving thoughtful comments can be even better. As you interact with people’s content, they’ll be more inclined to interact with you and to want to know more about you. DON’T ask people to follow you! Instead, leave a comment stating what you like about their photo; this will make your comment stand out from all the cookie cutter remarks and generic likes. Find 10-20 people who have a similar audience as you, and make a habit of leaving well thought-out comments on their most recent posts. As the most recent commenter on these posts, people are more likely to see your comments, and are apt to click through to your account – but only if your comment is actually interesting, entertaining or unique. In other words, “cool picture” probably isn’t good enough! If you follow me on social media, you know I’m a HUGE fan of image quotes! They’re quick and easy to create, and can have a big impact on your audience. They can be used to educate, inspire, motivate or simply entertain…and they’re GREAT for getting shares, likes and follows. Not sure this is an effective strategy? 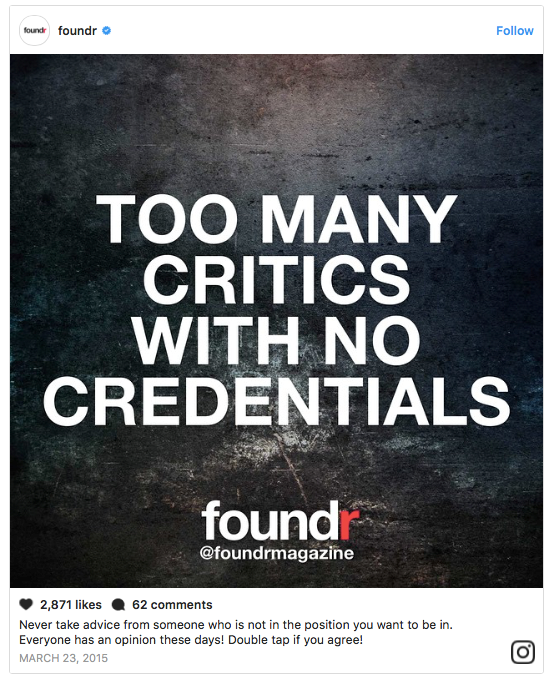 Foundr Magazine decided to post image quotes on Instagram every single day. Because they were trying to reach entrepreneurs, they posted quotes they knew entrepreneurs would relate to. I hope i have been able to assist and guide you on how to get more likes on your instagram post and profile?